Universal’s Islands of Adventure came out on top of the ranking just ahead of Magic Kingdom at Walt Disney World in Florida which came second in the list. The third position is taken by the top-rated European attraction of Le Puy du Fou, a historical theme park in Les Epesses, France. The top-rated attraction in the UK is Paultons Park, home of Peppa Pig World, which has claimed the title for three years running. Globally, Universal’s Islands of Adventure in Orlando is the favorite among travelers for the fourth consecutive year. Rounding off the top ten is Universal Studios Hollywood- fourth; Universal Studios Florida -fifth, and Disney’s Animal Kingdom in Orlando coming in the sixth position. 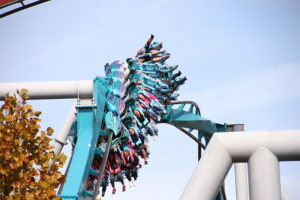 The German amusement park of Europa-Park Baden-Wurttemberg is coming seventh, closely followed by Tivoli Gardens in Copenhagen and then the Island in Pigeon Forge in Tennessee. Disneyland Park in Paris comes tenth, making it the third Disney attraction on the global list. In the water parks category, Siam Park continues to draw visitors to Tenerife, Spain, with its Thai architecture and free-fall slides – it is the world’s top water park for the fifth year in a row. Disney’s Typhoon Lagoon Water Park in Orlando, Florida comes fifth in this ranking after Waterbom Bali in Indonesia, Beach Park in Aquiraz and Olimpia, State of Sao Paulo both in Brazil. The annual rankings determine the award winners by an algorithm that takes into account both the quality and quantity of reviews and ratings for amusement parks and water parks worldwide, gathered over a 12-month period.